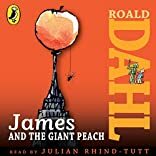 Roald Dahl's classic children's novel is now a motion picture from The Walt Disney Company, and this version of James and the Giant Peach grew out of the making of the movie. Lane Smith, conceptual artist for the film, has given James and company a new and arresting look, much in the style of his many highly regarded books, such as Math Curse and The Stinky Cheeseman. Karey Kirkpatrick, the film's screenwriter, created a text that is true to the spirit of Dahl's original, and deftly pulls young readers into the remarkable story. All in all, it's a peach of a book sure to be the pick of every child's bookshelf! 7/29/2012 Samantha Parson said: An incredibly fun book for children to read aloud - performed this in Drama class in high school and it's still fun even at an older age! 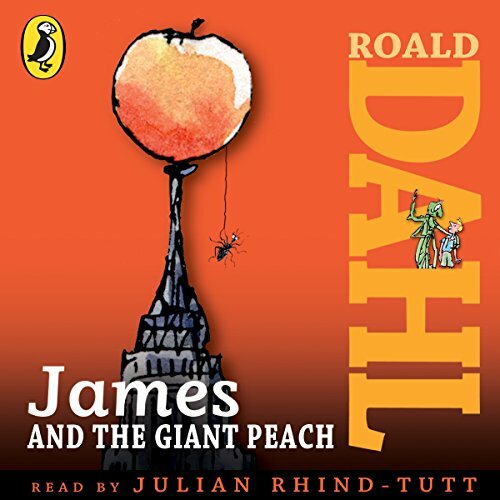 6/20/2010 Matt Cline said: Love Roald Dahl's books but I think this one is the best! It's books like this that inspired me to write. Anything can happen in your story! A little boy begins an enchanting adventure when he accidentally spills some magic crystals he was supposed to drink. Through a series of peculiar events he attains what he always dreamed of and more. The book has many short chapters and is hard to put down. The reader has immediate sympathy for the main character being quickly orphaned and mistreated. The insect and animal characters were all affected by the crystals and enhanced with human characteristics that are believable. There are also close resemblances between the chocolate factory in the book and Charlie and the Chocolate Factory. There are few illustrations in this book. All the illustrations are in black and white. All the interpretations for the characters were used in the Disney film. The shading becomes very important with black and white to give the perception of depth and texture. The peach is very texturized with bruising and spoil marks (created by dropping water on top of it). The peach tree is withered, dying, and the branches look like they will break any second. The innocence that a reader feels when you look at James is exactly what they want you to feel. 7/2/2009 Sherri Adams said: The boys and I loved this one. Charlie has already checked it out from the library a second time!